Increasingly recognised as one of London’s top venues for performing arts clientele and corporate or private hires. 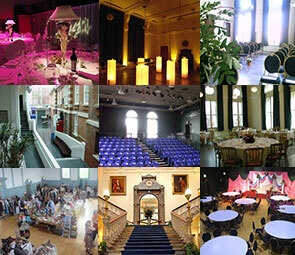 We are a vibrant community arts hub based in the Old Town Hall Hampstead. Located in one of London’s most picturesque locations, Wac Arts is fortunate to have a multifaceted and versatile venue with a wide range of halls, studios, rehearsal facilities and meeting rooms for hire. Our Main Hall can accommodate up to 200 people and gives an historical context to the dramatic and modern Millennium arts and media block. Facilities include theatre-style seating for 150 and a professional sound and projector system. 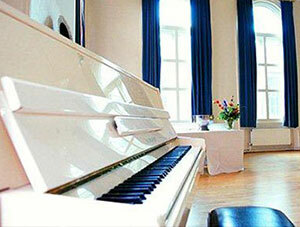 The centre also offers purpose-built drama and dance studios with sprung floors, music rooms and a recording studio. Complete with café and event management services, Wac Arts Events offers a comprehensive range of services for events and room hires. 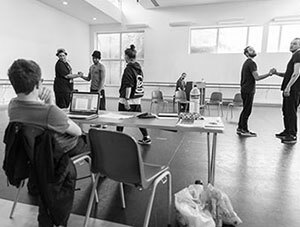 We regularly host rehearsals for West End and regional theatre productions that make make the most of our extensive facilities to rehearse upcoming shows. Our unique combination of large, medium and small rooms enable clients to fully prepare under ‘one roof’ before moving on to the theatre. Recent productions include; Matilda, Evita, Cabaret, Dirty Rotten Scoundrels, Shrek, Singin’ in the Rain, Starlight Express, Sister Act, The Bodyguard, Rocky Horror Show, The Royal Academy of Music summer shows and the Chichester Festival. 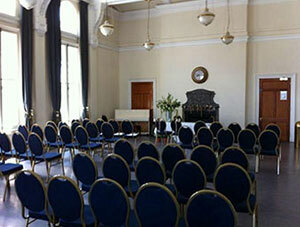 Whatever the occasion, Wac Arts Events can help to create the perfect setting. We pride ourselves on our individual and friendly service, providing enjoyable experiences in unique and inspirational surroundings. All bookings must include set up and breakdown time. A full day is an 8-hour period, usually 9.00am to 5.00pm. Half day is a 4-hour period 9.00am-1.00pm, 1.00pm-5.00pm or 5.00pm-9.00pm. Additional hours are added at the hourly rate. The minimum hire period on all rooms is 3 hours, except the Main Hall, which is 4 hours minimum. Additional staffing (security / stewards) is available on request. Use of external caterers is with prior written agreement.  NB: All donations are gratefully received and will help to support the work of Wac Arts. Please note Wac Arts personnel cannot individually receive gratuities direct. Please ask for a gift aid form at reception. If you would like more information on Room Hires and Events Management services, please contact Events@WacArts.co.uk or call us on 020 7692 5809. Download an information pack with booking form and our current Terms and Conditions and room floor plans below. Capacity: 200 people standing, 200 theatre style and 120 banquet style. Capacity: 100 people standing, 80 seated and 60 banquet style. 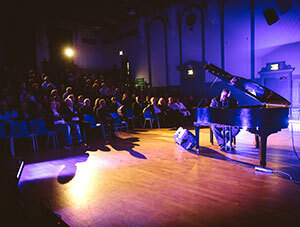 or email Events@WacArts.co.uk for more information.